Yesterday, we told you that Huawei had met the upper end of its target by shipping over 200 million smartphones in 2018. And that accomplishment was achieved despite a very small number of phones delivered to the U.S. market where Huawei is considered a national security threat. The company's P20 series and Mate 20 series both were well received by consumers and industry analysts. One report states that over 16 million units of the former were shipped, half of them to females. Huawei has reportedly shipped 5 million units of the latter series since its October launch. The manufacturer expects to deliver 20 million handsets belonging to the Mate 20 line. And now, to commemorate the 200 million connected handsets that Huawei delivered this year, the company has announced a special version of its top-of-the-line Huawei Mate 20 Pro. The president of the company's smartphone division, He Gang, made the announcement on his verified Weibo page (via GizmoChina). This special edition will be dressed in emerald and feature 8GB of RAM and 256GB of storage (matching the most expensive version of the phone already available). 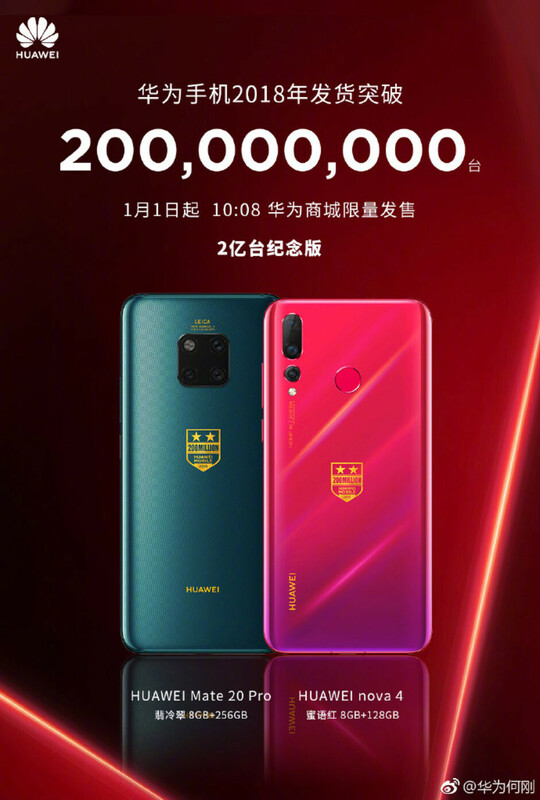 Huawei will also offer a commemorative version of the Huawei Nova 4 in Secret Red. Both models come with a special logo on the back that commemorates the 200 million Huawei phones shipped this year. Pricing has not been announced, but both models will be available in China starting on January 1st at 10:08 am local time. 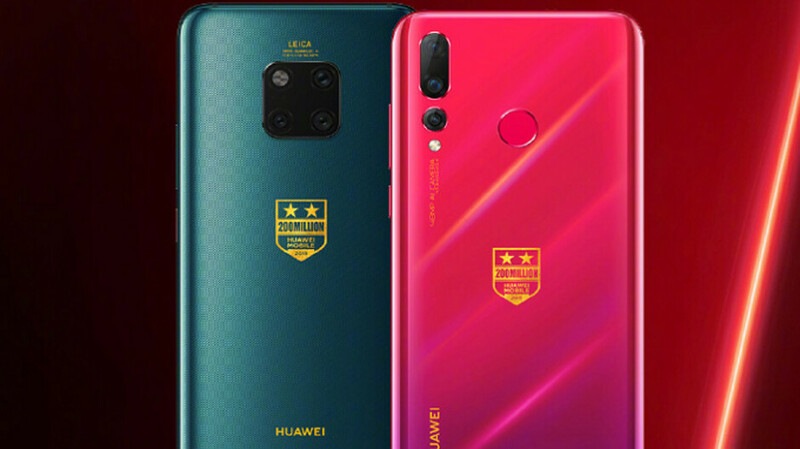 You can bet that the hundreds of Chinese companies offering subsidies to employees who buy Huawei phones will be happy to shoulder some of the costs of these two special editions. Off topic- why's there no Christmas wishes to readers from Phonearena? Merry Christmas!! Maybe, they don't celebrate Christmas since it's not Christ's real birthday?